It is a tough decision choosing what cookware to buy. With the right decision, these appliances make quite an investment. That said, there are several things to look at. 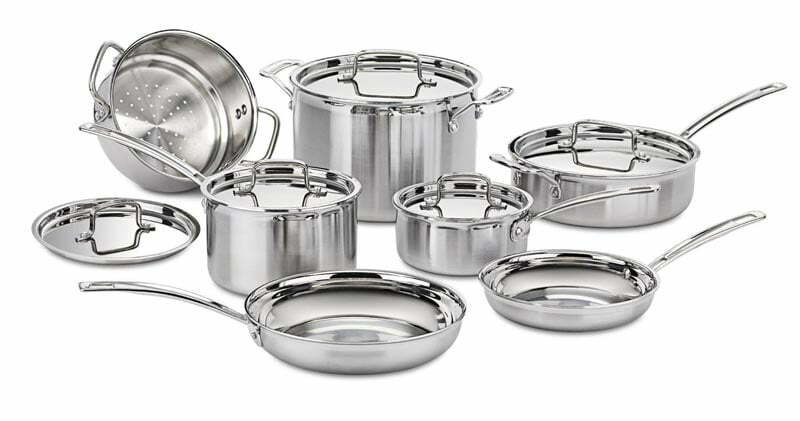 Here are the things to consider when buying a cookware set. Sets made of this material heat evenly not to mention how durable they are. They are safe to use as the material has no interaction with the food you cook. Stainless steel cookware is safe on the grill, the dishwasher, and the oven as well. Some are coated for easy cleaning. Aluminum is lightweight, durable, easy to clean, and is an excellent conductor of heat. Appliances made from this material are affordable. Sets from this material offer uniform heating, they rapidly cool and few of them can be used in the oven. Although they are highly durable, they aren’t cheap. This is by far what many dream of having. They are so easy to clean, and they require little to no oil during cooking. However, they are easy to scratch. Enameled cast iron pans have a unique color, heat gradually and have prolonged heat retention. They are not reactive to various ingredients, even the acidic ones, which means they resist corrosion well. One setback is that they are very heavy. 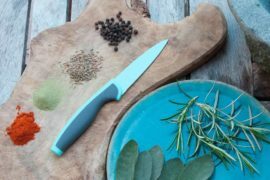 Uncoated cast iron is the next best option after the nonstick cookware sets, and carbon steel and blue steel cookware sets. The latter is usually used in professional kitchens. For those who love cooking now and then, investing in cookware sets that are durable is the way to go. Your cooking habit matters. Also, pay attention to the type of cookware if it meets your cooking needs. 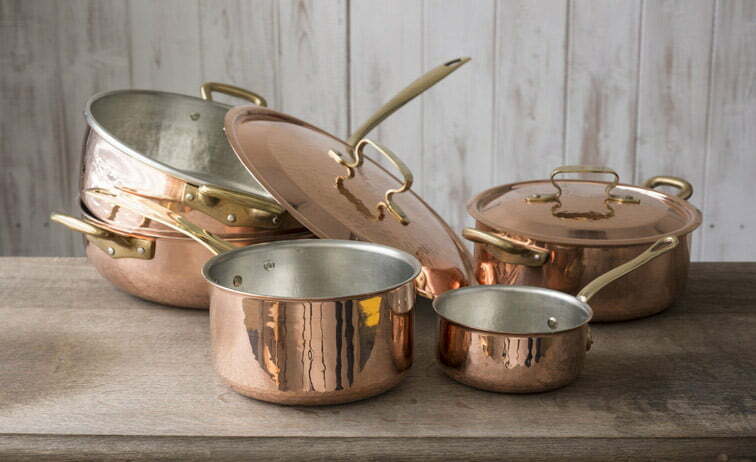 For example, if you prefer your food to cook slow, copper cookware sets might not be the best option for you. Ask yourself, does this set provide the items you want for your cooking needs? The last thing you want to do is end up with a cookware set that comes at an excellent price but doesn’t offer much. Look for cookware that has as many items as you need. 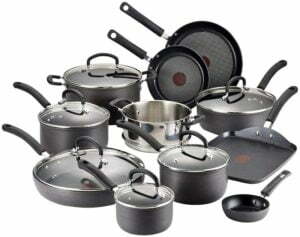 Of course, quality is tied to the material used to make the cookware set, nevertheless, ensure that what you are buying is worth every penny. Buy something that will effortlessly accomplish your cooking needs and will give you many years of service. Quality isn’t the only factor to consider, the types of handles and whether all the pots and pans have lids is mandatory. This is to cater for the recipes that require covering. Notably, lids and handles come with different shapes, materials, and capacities. Other handles cannot be used while the food is cooking in the oven. Look for those that can be used both in the oven and on the stove top. Consequently, pay attention to the lids. Some are airtight to keep the heat inside, and others are made of glass to allow you to look inside the pot. Whichever the case, this is mainly dependent on what and where you are cooking. Other things to consider are the accessories. 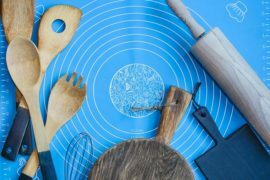 If you can find cookware set with spatulas, recipes or cookbooks, spoons, spatulas among others, the better. It is always important to be sure of what you are hunting for before making the purchase. 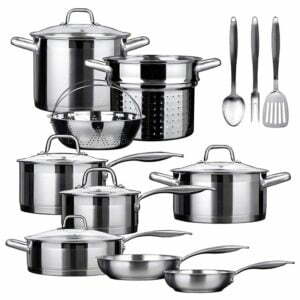 The Cuisinart MCP-12 N Stainless Steel Cookware is a high end set with 12 items necessary for most of your needs. They are shiny due to the polished surfaces and eye-catching. This particular set of cookware doesn’t stain or become dull. Even better, all the items have ergonomic handles with easy-to-grip knobs. As you pour the contents from the pans, nothing will drip for the edges are tapered. The construction itself is made to last. It also comes with triple ply construction. The features allow even distribution of heat, which is ideal for the best cooking results. The set is safe for the oven, you can use it to bake, and so much more at it can withstand very high temperatures of up to 550 degrees Fahrenheit. It can even be used on induction cooktops. Apart from being compatible with induction cooktops, cleaning the Cuisinart MCP-12 N Multi clad Cookware is easy. The set is also dishwasher safe. This cookware set is perhaps just the thing you are looking for. It suits both professionals and beginners alike. However, there is only one quibble; the cookware is heavy. Other than that, it isn’t worth passing up. The Duxtop SSIB-17 Professional Stainless Steel Cookware Set is another option worth considering or your kitchen. It comes with a total of 17 different items. They are sturdy and can be used for any cooking. All the pieces are versatile and compatible with all the types of stoves including the induction stove top. This set of cooking appliances is made of industrial grade stainless steel with aluminum plates at the bottom. Their durability is unmatched. The manufacturer ensured that you get a product that will serve you for years. Moreover, it is backed by a solid lifetime warranty! Duxtop SSIB-17 Professional Stainless Steel Cookware Set provides you handles that offer all the comfort you need. The handles have also been firmly fixed to the pans to avoid looseness or potential dangers. Like the first cookware set, it can tolerate temperatures reaching 550 degrees Fahrenheit. This allows you to prepare a wide variety of recipes without worry. Its maintenance is also easy. After use, you can simply clean the pieces in a dishwasher. If you require a set, that all the pieces have lids, this might not be your choice. The frying pans have no covers. The T- fal 17-Piece Cookware Set is uniquely set to let you know when it is hot. It comes with a thermo-spot heat indicator, which enables you to identify the right temperature to cook. The set has a total of 17 pieces made of aluminum. To make them nonstick, they have been coated with titanium, and the anodized surface makes them resistant to scratch. The handles are riveted for comfortability. One of the advantages of buying this set is the Dutch oven it is included. All the pieces are dishwasher and oven safe. However, the problem you might encounter is that discoloration may occur sooner than you expected. Another drawback is that you can use silicone and wooden utensils only. That said, it makes one of the most decent set to own. The decision to buy the best cookware set doesn’t necessarily have to be much of a hassle. If you are unsure of where to start, hopefully, this post guides you into owning the best set. You can choose any of the above-reviewed products as they will suffice in accomplishing all your needs.